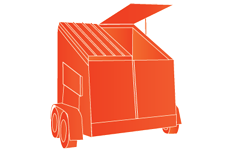 Enter your postcode below and we’ll show the pricing and sizes for mobile skip bin hire with Trailer Trash in your area. 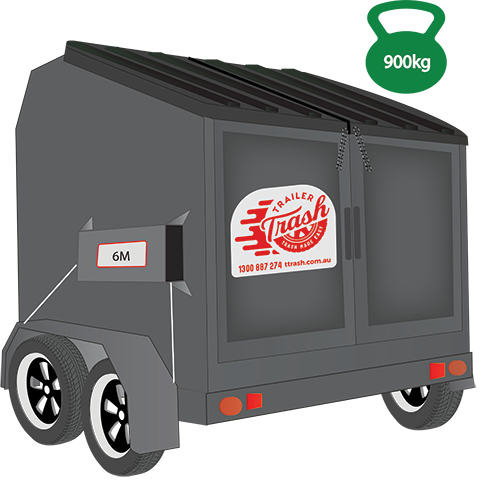 Alternatively, you can call Trailer Trash on 1300 887 274 for pricing over the phone. Standard 3 day hire including delivery and pick up. Small skip. This is suitable for small cleanups. Small-medium skip. 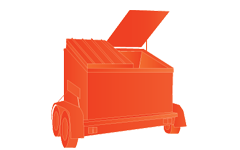 This is suitable for most general clean-ups and is our most popular size bin. Medium skip. 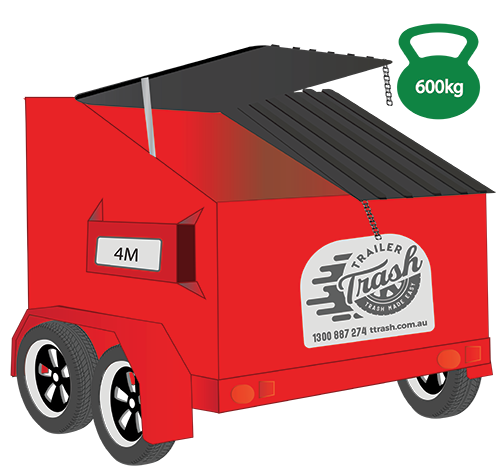 This is suitable for most general clean-ups and is our largest size bin. This skip has rear doors that made for easier loading. Medium skip. Suitable for medium renovations. If you would like to book this bin please complete and submit this form or call 1300 887 274. I agree to the terms & conditions of Trailer Trash Website Booking and acknowledge that the Trailer Trash bin is made for General Waste, and as such only accepts 2 wheelbarrows (in total) of Concrete, Dirt, Bricks, Rocks, Rubble, Soil, or Sand. 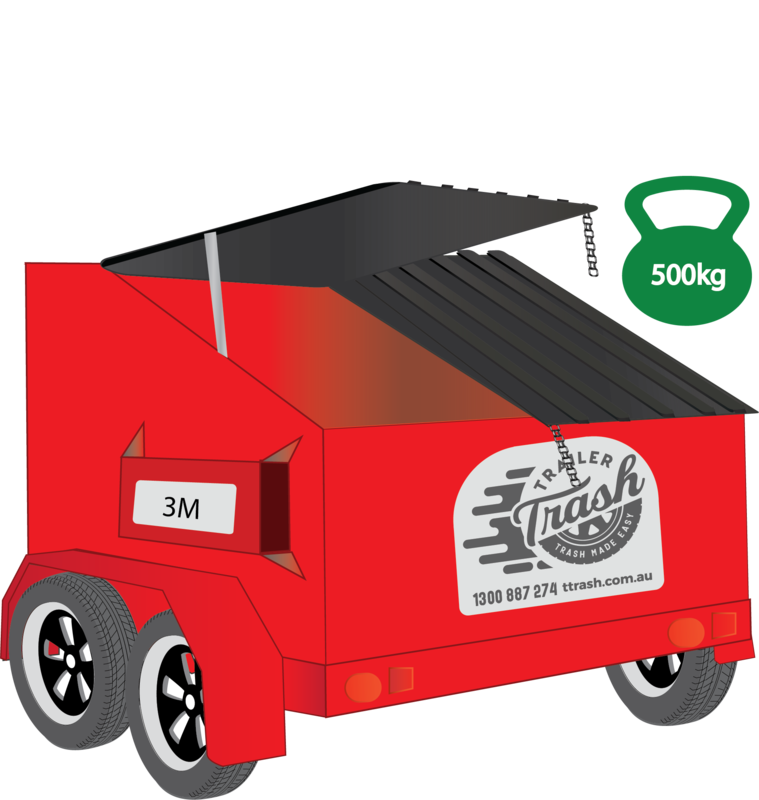 Household waste (odds and ends, appliances, furniture, rubbish, garden waste), office waste, light construction waste (wood, gyprock, metal),plastic items, cardboard, glass, metal and up to 2 wheelbarrows of Heavy Waste. Liquids, tyres, batteries, asbestos, gas bottles, explosive items and more than 2 wheelbarrows of Heavy Waste. Garden waste only. branches, leaves, grass and clippings. Concrete, bricks, soil, rock, tiles, pavers. Liquids, tyres, batteries, food waste. Timber, Plaster Board, Kitchen Demolitions, Bathroom Demolitions, Metal off cuts. More than 2 wheelbarrows of Bricks, Rubble, Sand, Soil, Dirt, Rocks, Concrete.